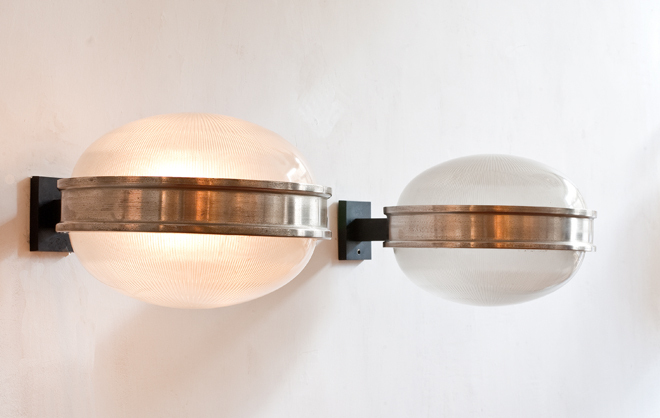 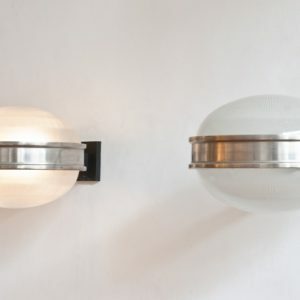 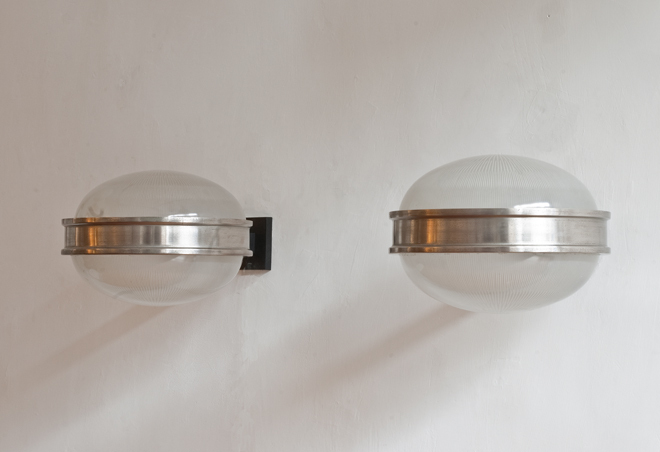 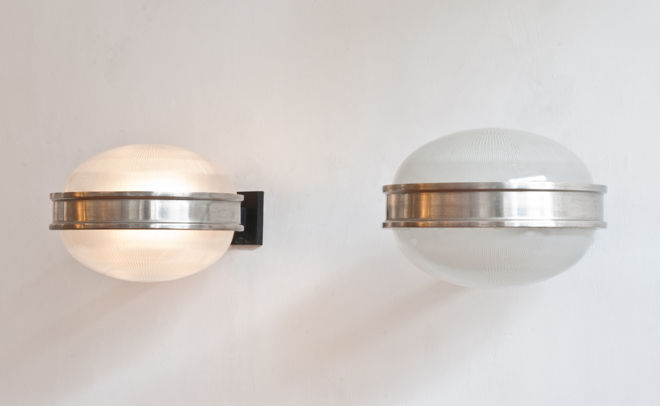 Wall lights designed by Sergio Mazza for Artemide, 1960. 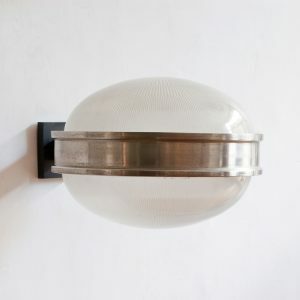 Molded glass, nickel and black laquered metal. 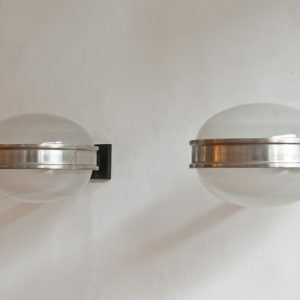 Depth 34.5 cm, hight 21 cm, diameter 27 cm.